To Sell Your House Today…Just Dial This Number: 480-800-CASH. Because We Are Cash House Buyers, Banks Won’t Hold Things Up. No Agents To Pay. No Contractors To Fool With. You can skip the usual hassles that most people have to go through. When you call us, you’ll be talking directly with a real estate company who buys houses directly from homeowners. See here how we buy homes fast. And we can give you a fair offer in about 24 hours and then close in about a week. So you can sell my house fast. 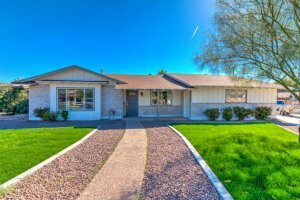 Want To Sell My House Fast In Chandler, AZ? Agents cannot guarantee when your house will close. However, we can let you choose the exact date that you close. And that can really increase your peace of mind. Look at how we buy houses so quickly here. We help many Chandler homeowners who are facing tough situations such as foreclosure, divorce, death of a family member, difficult renters, expensive repairs, and many others. We can help because we buy houses fast with cash. We give fair offers and can close in a few days. So you can sell my house fast. Tired of putting up with the hassle of owning a property? Do you wish you could skip the time consuming process of waiting months for a real estate agent to find a buyer? We can help. We buy houses directly from homeowners. Call us at 480-800-CASH and we’ll explain how we can help you and your specific situation.